We quite like our yearly trip to the Bath Christmas markets, but not the long drive. For the last couple of years we have stayed in Swindon- the first year I went to Swindon parkrun (and we then drove to the park and ride but had a nightmare finding a space) and last year we stayed in Swindon and I got the train to Chippenham parkrun, before we got the train to Bath. This year we decided to stay in Reading, as the train was just under an hour. It also meant that I could get a new letter for my parkrun alphabet challenge! Dinton Pastures parkrun was fairly close to the Holiday Inn (well, it looked close on the map but was actually over 1.5 miles away, which is OK but not when you have booked a train that morning…). It’s only been going since July- this was event 20- which explains why I hadn’t found it when looking for events beginning with D back in the summer. 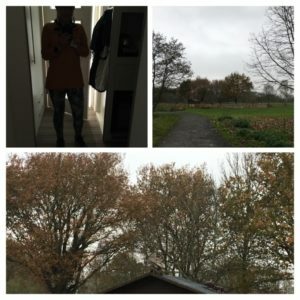 We drove to Reading on the Friday night and then on Saturday morning I left for parkrun, armed with my phone and google maps. It was gently raining at first, but by the time I got there it was raining pretty hard. The entrance to the park had a separate pedestrian path, and I had seen some arrows in the distance so I headed there, but hesitated as I couldn’t see anyone around and wondered if it was the route marker and not an arrow to the start. A guy walking along saw me hesitate and offered the directions, and we chatted as we walked to the start. 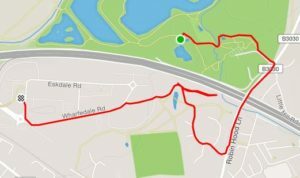 Weirdly it turns out he had run at Ellenbrook Fields before as his daughter is at uni in Herts (it’s right by the uni campus), so we could chat about the course! I love coincidences like that. The new runner brief and main run brief were pretty quick- no-one wanted to hang about in that weather (I briefly chatted to a tourist who was from Bristol and on her way to Sussex- somehow we ended up talking about Crissy Field parkrun in San Fran) and soon we were off. The course is apparently two laps, but because you don’t run on exactly the same paths, it feels like one lap. At one point there was an arrow for lap 1 in one direction, and lap 2 in the other, but that was all I saw. I just followed the people in front as always! There were lots of enthusiastic marshals on the way around- even more impressive on a damp and rainy day. At one point I stopped to take the photo (below, top left) because it was a really pretty view. I would love to go back on a sunnier day! I think trail shoes would have been a good idea (something which only occurred to me when I was driving to Reading), although the paths were sort of hard packed gravel with a few puddles and lots of leaves to contend with- it was all very flat apart from one short slope so it was all fine in road shoes really. My trail shoes would have kept my feet a little drier but that’s all. I didn’t hang about once I finished, as I needed to get back for a shower and to make our train. I knew I needed to get over the motorway straight away, but after that the route took me through a housing estate and then onto a bit of nature reserve- here I got very confused and the map just kept recalculating as it didn’t think I was on a road, so I went around in circles and back on myself for a bit- I ended up running 2 miles back- whoops! Andy had made a cup of tea for me, so I jumped in the shower and then had the tea to warm up (plus an almond croissant and some satsumas). Then we had just enough time for me to dry my hair before we checked out and drove to the station, to catch our train to Bath- I’ll get to that another day. My text came through to say my time was 29:19, and annoyingly for the stopwatch bingo I only need 17 and 18- so close! (By the way, the parkrun adventurers podcast had an interview last week with the creators of the running challenges chrome extension which I am using to keep track of all sorts of parkrun challenges including the alphabet one, so it’s worth a listen if you are interested). So, after a long hiatus I have ticked off another letter, and now *only* need I, J, K, Q and (international tourism) Z. Do you like to chat to other people at parkrun? I am not usually very confident at chatting to people I don’t know, but because we always have a shared interest it always seems much easier at parkrun. Also the saying goodbye bit is always weird but there’s a natural cut off with the start of the run so that seems to help a bit too. Author Maria RunsPosted on November 28, 2018 Categories General ramblings, Running, Stuff I love! Well done on your new letter. I think you are brave venturing to Bath at Christmas. I have friends there who avoid the town centre like the plague! Whoop whoop for a new letter. I did mine in Birmingham which was a fair distance away but worked at the time. I would have done the Reading one or Didcot otherwise. I is such a tricky one. There were rumours of another parkrun being created near me near Itchen Valley which honestly would have been perfect (and annoyed me a little for my almost 6 hour journey to Ipswich!!) but it doesn’t look to be happening. The Itchen valley would be good for me as we do head down there fairly often (although I’e tried a few times for the Q and it hasn’t quite worked out just yet). I went to Inverness in the summer but not on a Saturday so that was a bit annoying! (Although I did do the Y in York on the way home so I did get one new letter). A 6 hour journey is a bit further than I would like to go at the moment- you were very dedicated with yours! Totally agree. I can find it difficult chatting to others, but the shared experience of parkrun makes it so much easier (and the start of the run provides an easy end to the conversation). Well done on another letter. You’re doing so well with this challenge. I really must give parkrun adventurers a listen some time. It’s a good podcast- I like the ones where the hosts know each other and have a bit of a chat too. 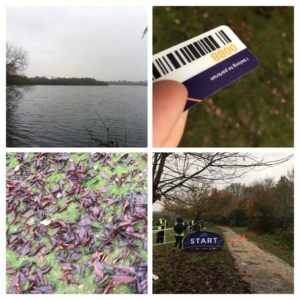 A new I parkrun started this week. I’m pretty sure it was included in a parkrun newsletter if you get them? I love a good old natter so I’m always chatting to people at parkrun. I quite like to do the new runners briefing, then I get to meet the tourists and if I see them afterwards I’ll ask if they enjoyed the course and how we compare to their home parkrun.